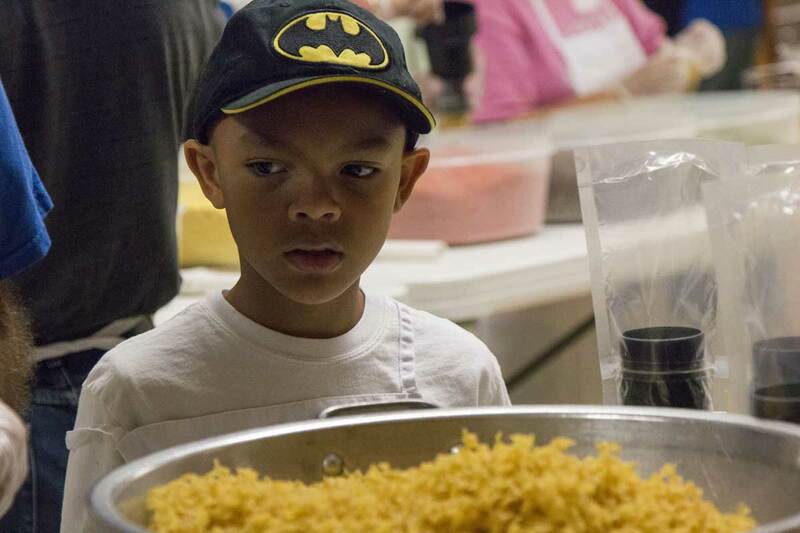 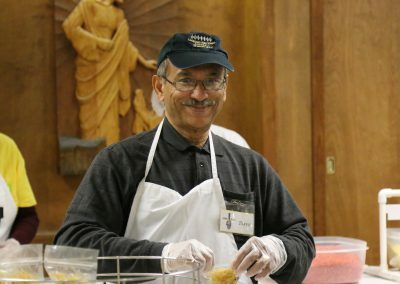 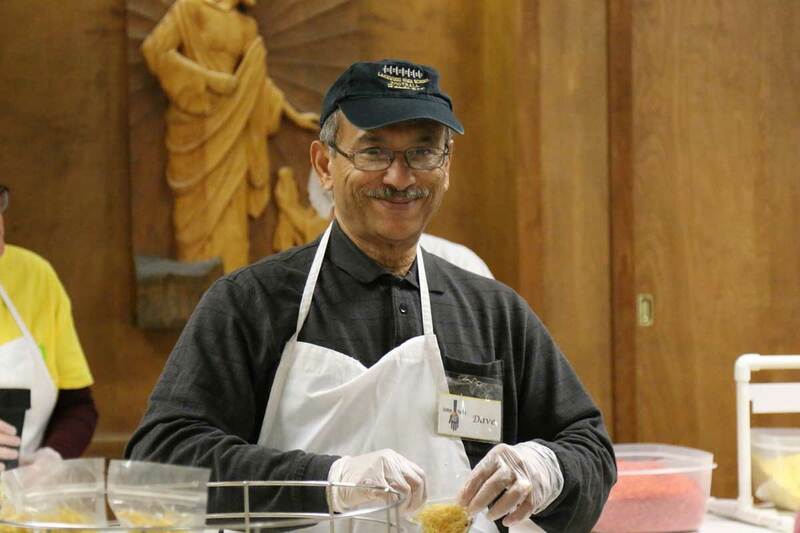 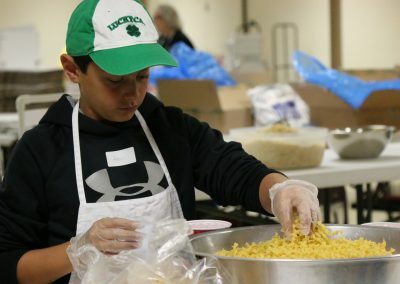 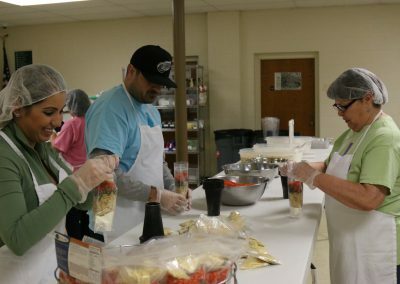 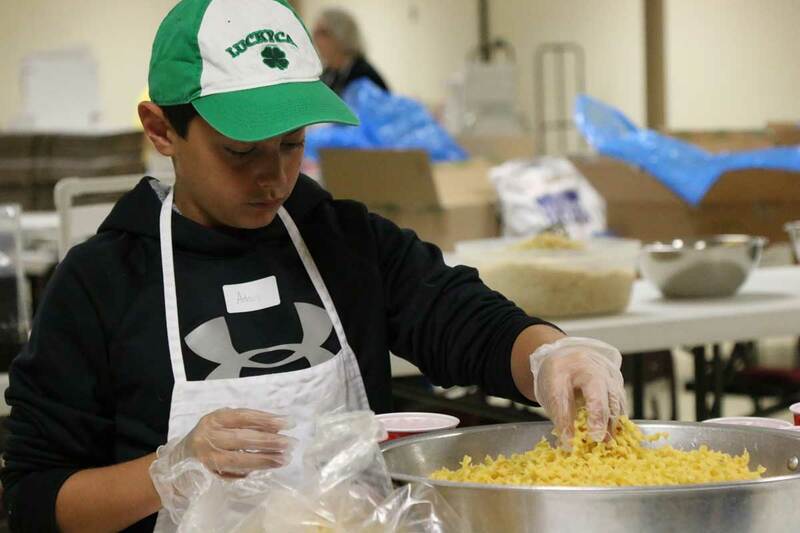 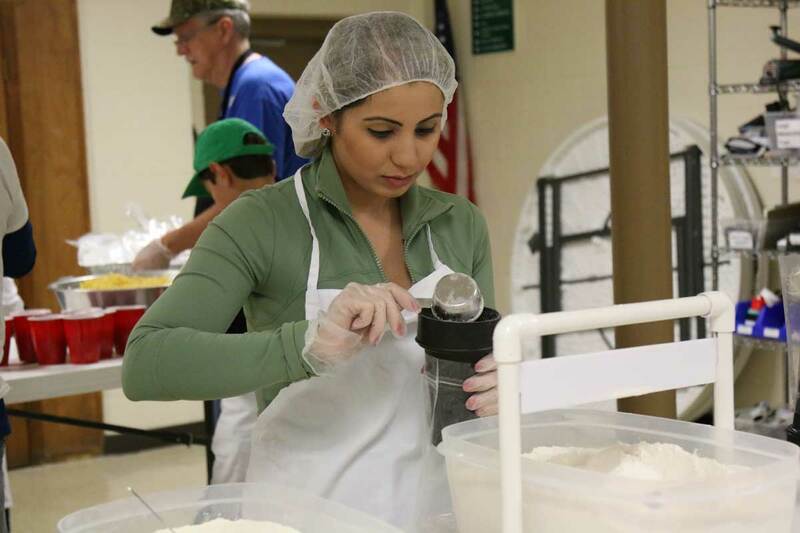 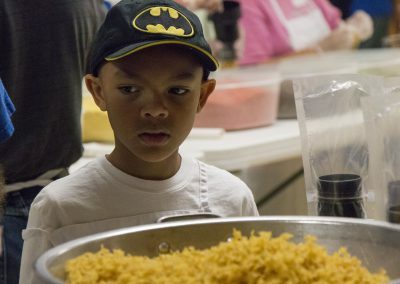 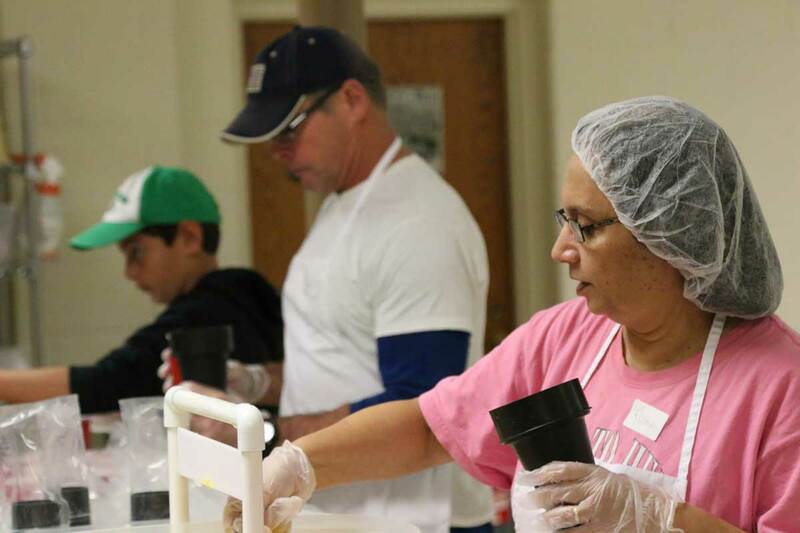 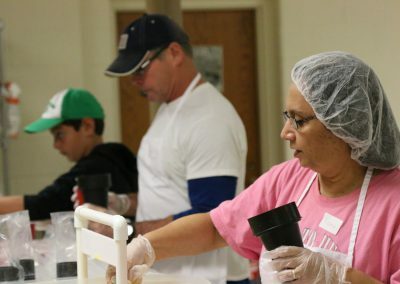 October 15, 2016 — Nearly two dozen volunteers from A Time to Help gathered Saturday morning in the kitchen of Trinity Lutheran Church in Utica to help produce and package Motown Soup’s quality soups and gift boxes. 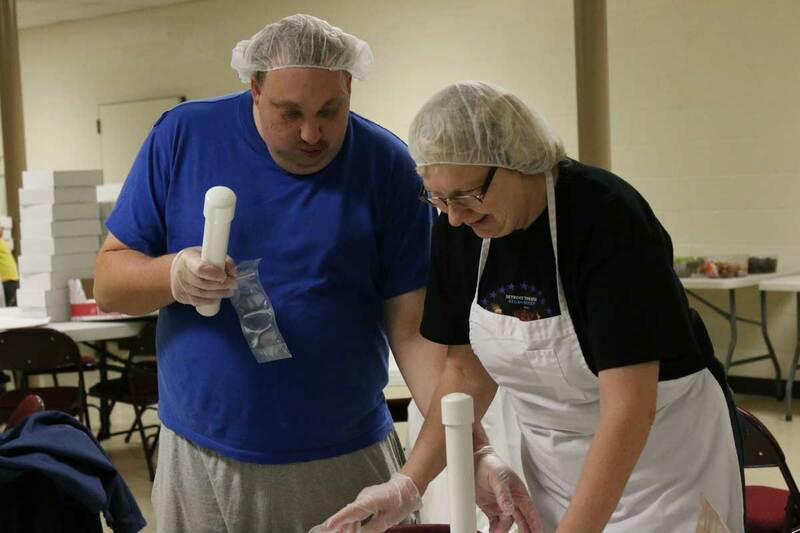 All proceeds from the sale of the non-profit’s products benefits dozens of homeless shelters, soup kitchens and food pantries in Michigan. 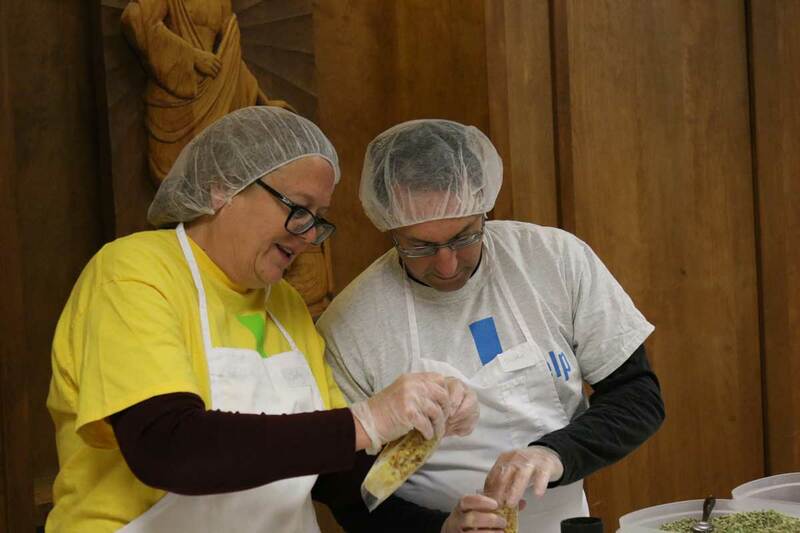 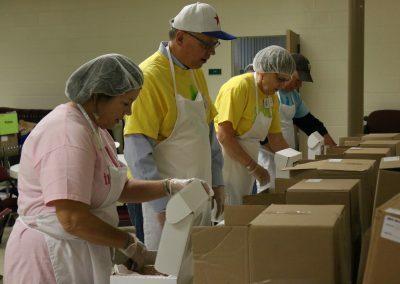 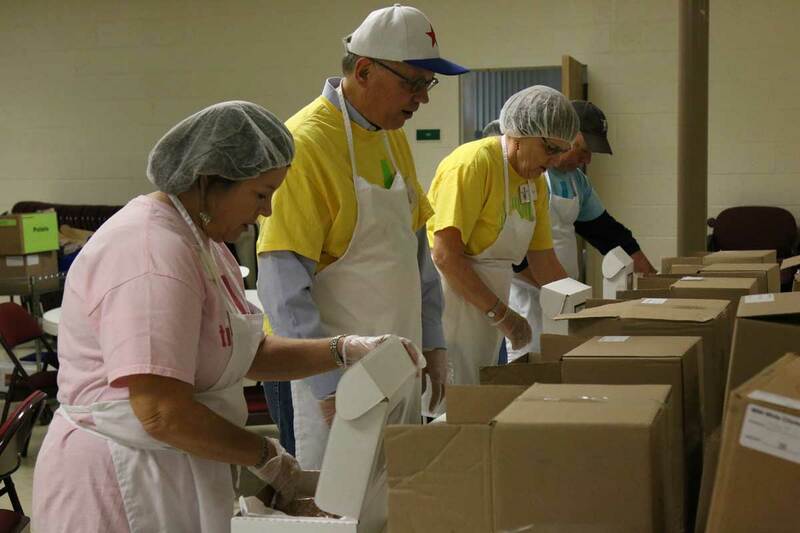 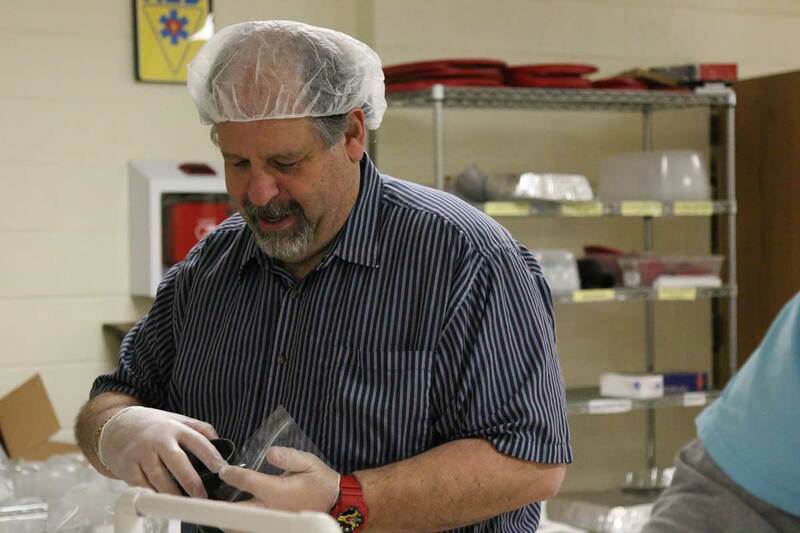 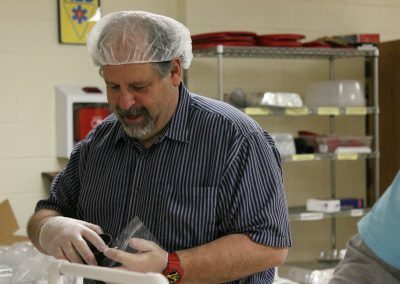 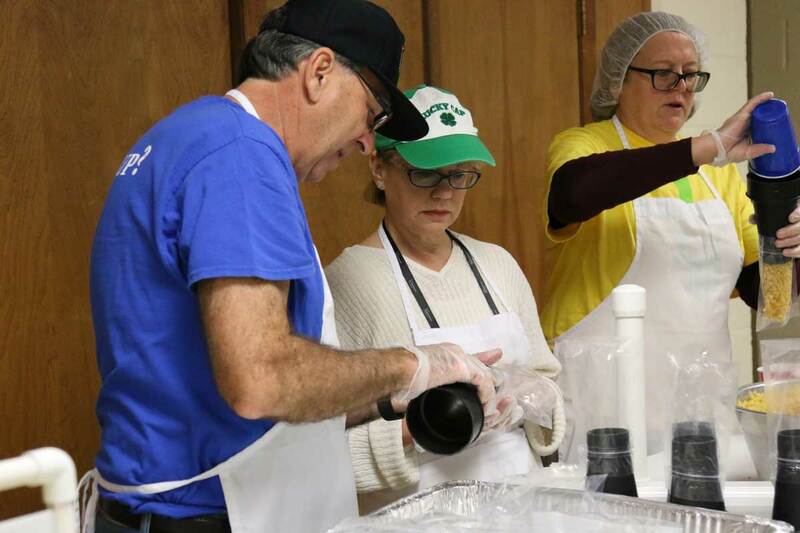 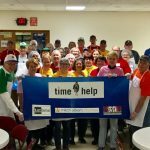 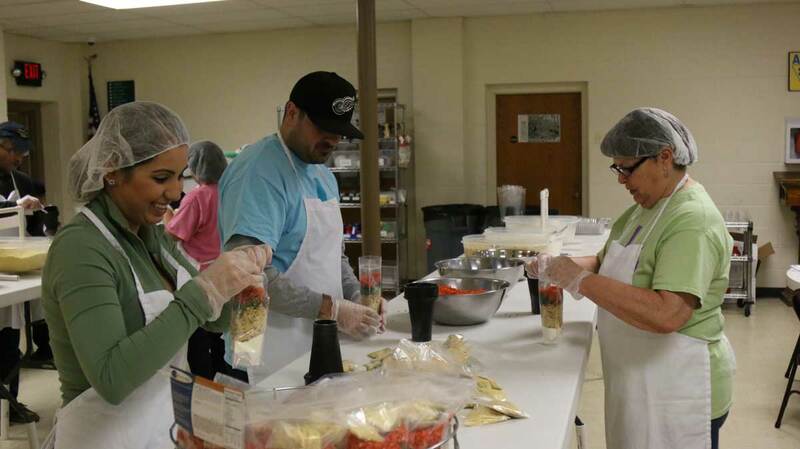 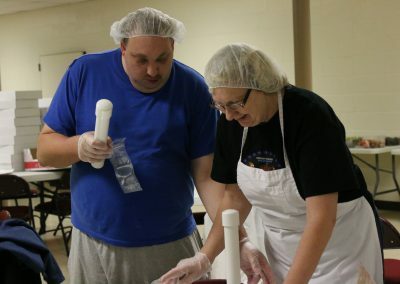 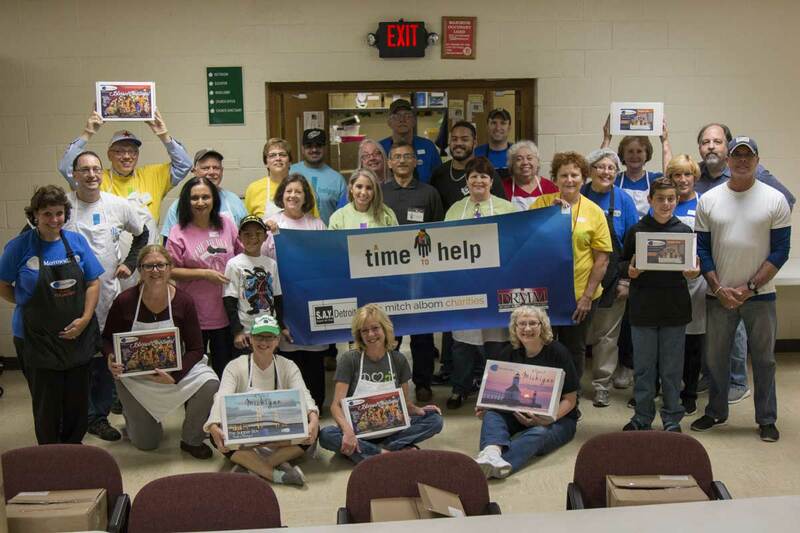 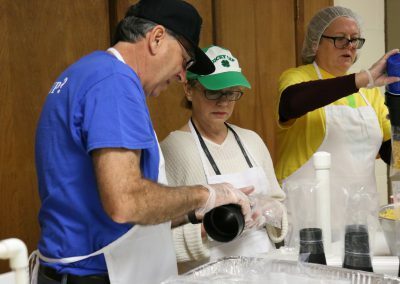 When the final tally from the three-hour project was announced, Motown Soup staffers were pleased with the results: ATTH volunteers had produced and packaged 540 chicken noodle and 200 chicken pot pie soup mixes worth $5,000 for area charities. 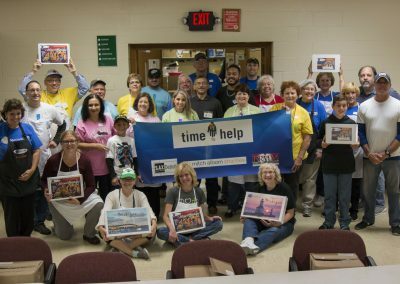 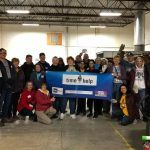 The project featured a long-distance phone call from S.A.Y. Detroit founder Mitch Albom, who was put on speakerphone to welcome the group. Albom was in Haiti checking up on his orphanage/mission’s 39 children and staff members in the aftermath of the Oct. 4 hurricane that decimated the southern part of the country. 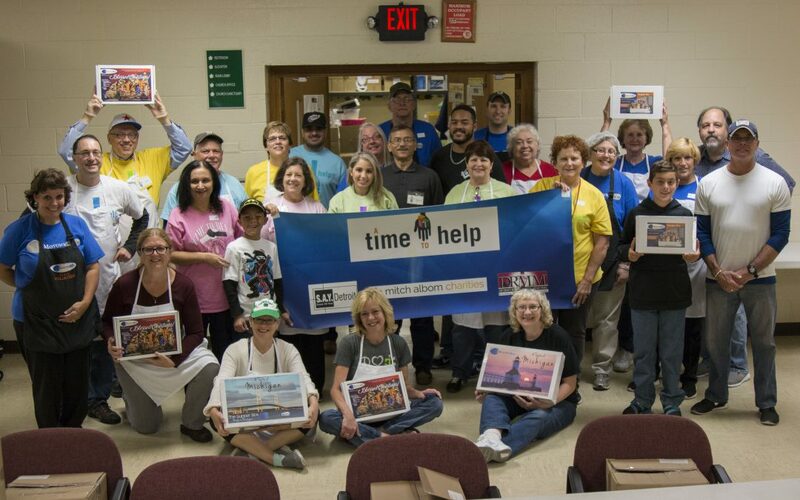 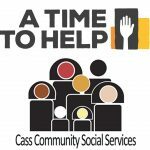 Information about A Time to Help’s Nov. 12 project will be posted this week.